Tak Fujii is one of the most established and charismatic figures in the Japanese gaming industry today. He spent twenty years at Konami in Chicago and Tokyo, filled roles such as sound designer, director and producer, as well as playing guitar on the incredible Castlevania: Symphony of the Night score and working on several Pro Evolution Soccer titles before his departure in 2014. Fujii is probably best known in the west for his unforgettable E3 presentation of Xbox 360 hack and slash RPG Ninety-Nine Nights 2. At the Tokyo Game Show this year, Fujii publicly showcased his new project for the first time, Gal Metal, which is scheduled for a February 2018 release on Switch. 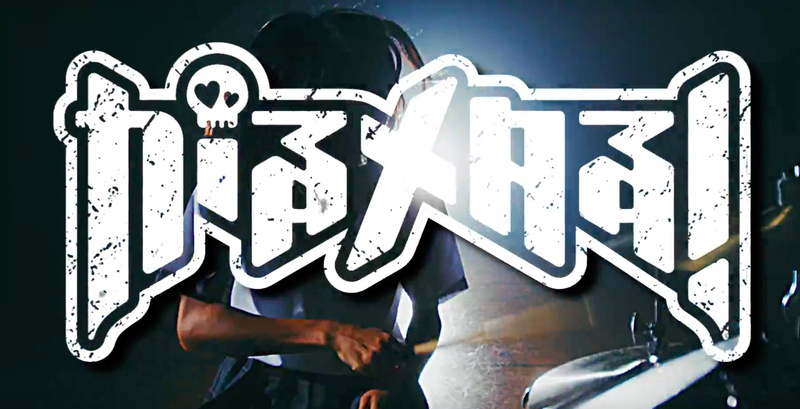 This music rhythm game uses the individual Joy-Con controllers as drumsticks, and boasts a vivid anime art style and a character-driven story. With the history of the "music video game" swaying from revered (Rock Band, Guitar Hero) to the "interesting" (who could forget that infamous E3 2008 Wii Music presentation? ), Gal metal has the opportunity to take the genre and the fresh hardware to new heights. We caught up with Tak shortly after TGS to find out more. Nintendo Life: First of all, thank you for taking the time to talk to us and congratulations on the announcement of Gal Metal coming exclusively to Nintendo Switch. The showing at TGS (with mascot and instruments, no less!) certainly made an impact - how was the press and public reaction to the game? Tak Fujii: Brilliant! We have had pre-opened announcement sight and teaser movie, which lead to three big questions from the public. One: Who is making the game? DMM, a PC browser game company works for console title, exclusively for Nintendo Switch. Two: WHY? It seems high school girl does something with drums. Three: What kind of game is that? Drumming is awesome and it was heavy. What really is that? Our message was simple. All answers will be unveiled at TGS. Come to our presentation. I had a great presentation of the game on the first day of TGS, showing a brand new design of music game with exclusive play ability using the Joy-Con. All elements together, I believe I did make a great impact regarding the media and public. Most of reactions from them are positive. Thanks to the Nintendo Switch and our cute red drummer, NYANGO-STAR, and lovely red guitar, of which there is only one available in the world. TF: Producer. However, I am taking on more roles than I used to be as 'producer' in my previous job. DMM is venture company and therefore I have to take more roles if I come up with something I’d like to do, which might include marketing, licensing, sales, collaboration, etc, etc. It makes me really busy but it’s really fun to meet lots of people especially in the music industry (because Gal Metal belongs to the music game genre). Of course, the concept of game is mine so I have to conduct the team to make my game to be new and fun enough, which is the same as a producer's role in the industry. TF: There is no team in DMM, it’s only me to drive game development. We do have marketing and sales people but not as many compared to other console publishers. The dev team is external, Now Production - based in Oaska, Japan. They are console experts and have good experience in making music games so I can rely on what they make. The director of Gal Metal is Shuhou Imai, who has great experience in both writing and creating video games. How long has Gal Metal been in development? TF: That's a secret! But not longer than planned, thanks to the development environment in 21st century. When did you start working on it in relation to your departure from Konami? TF: Gal Metal started a while after I had left Konami. Again, DMM has never thought to release a console title because DMM is a PC game platform and has had no business with other platforms, including iOS and Android at that time. So I was getting involved in other projects, such as e-Sports and VR. I had great success on a VR project at TGS 2016. However, DMM is a fun company. They give any opportunity to do anything (only if it seems valuable, of course). Thus, Gal Metal is not something that happened immediately after my resignation from Konami, and had no relation to it. Was it always your intention to make a music game at some point? TF: Yes. I started my game career as a sound composer. Music and sounds are always part of my life. I have always dreamed about making a great music game through my career, but Konami already innovated by making great music franchise titles and I was getting involved with other projects (which was an awesome AAA job anyway) and had no chance to make another music game. So finally, here is my dream come true. It took a while but I made it happen. However, I just didn't want to copy old school music titles. This format has been around over 20 years and I really wanted to try something totally new. Gal Metal has no falling note indicators and you have to focus on audio rather than notation, which gives a feeling of playing real music in real band. I hope my new challenge would be accepted in the market. When did you first become aware of the 'NX', and when did you first experience the Switch? TF: Unfortunately, DMM is not console company and I was not involved with ‘NX’ at all. I found and got Switch as a user, not a developer. I see brilliant game experiences through Nintendo's first unavailing presentation. 'Take console out to field and play together'. It's sounds similar to what we had with the PSP and Nintendo DS, but it also felt totally different. Handhelds normally belong to personal playability, but this console is for multiple people. Remember when we had endless nights with Bomberman or NBA Jam? That's the impact of Switch to me, and it doesn't belong to living room anymore. It's about taking the multi-player video game experience anywhere, which sounds awesome! When was it decided to make Gal Metal exclusive on the Switch? TF: Gal Metal is still a single player game, at the moment. Since there are no note indicators on screen, players have no need to focus on the screen, but instead listen to the audio from the console. This means other players also have no need to focus on the screen. Watching other players play is the most fun part of this game in my opinion. Remember most fun part of playing Just Dance? It's us, observing players. With the Joy-Con and screen-less game play experience, Gal Metal has no other home but Switch. The Switch's touch screen is being used with music games such as VOEZ and Deemo, but the Switch also has the Joy-Con feature. When did you first work on using them in Gal Metal? TF: We've decided to work on Switch because of the Joy-Con. As I said before, Gal Metal is really fun to play with others. Touching the screen holds the player in front of game screen, but the Joy-Con give you freedom to play around. Gal Metal is still a music game, but the experience you have is totally different to those other titles. There have been music games in the past, such as Rock Band, that have various difficulty settings as well as being great multiplayer games. What's the balance like in Gal Metal? 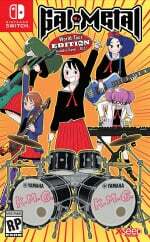 TF: Gal Metal is about a free drumming experience. The player decides which rhythm patterns may fit to each song. That gives no 'good' or 'bad' evaluation. 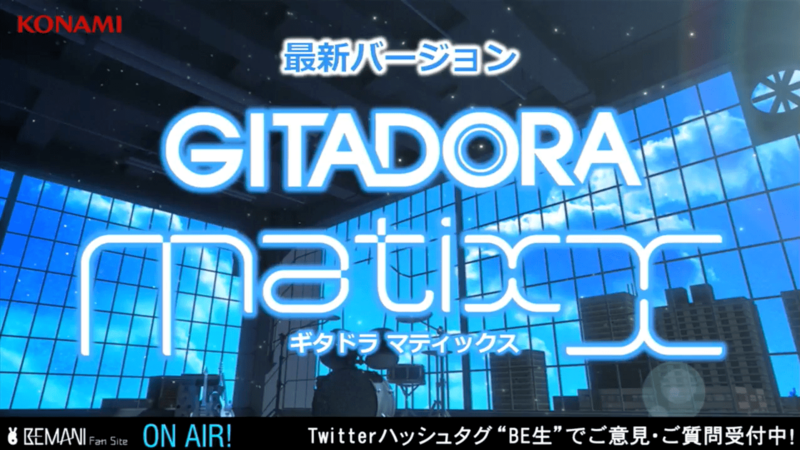 However there are evaluation factors in the game which are really based on music composition theories. We know most of players maybe don't know anything about drumming so their first entrance and experience would be 'fun to swing' and 'fun to listen'. Gal Metal's learning curves will take players a little deeper. 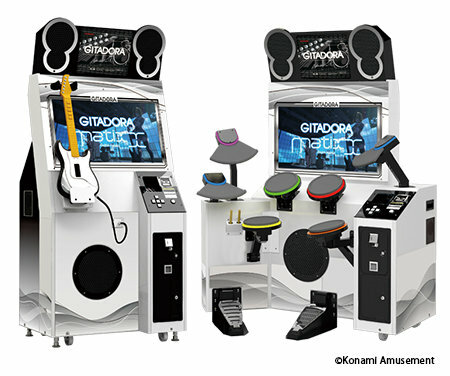 I can't tell you details right now, but there are mechanics where the player will learn better drumming by gaining better score in the game. I put a music gamification system in the game. There is also a very strong visual style and character driven story - how did they start and develop? TF: There's almost no story in most music games. However, we had great teen memories with band in high school. I want players to love being part of a band. The band is about communicating with other players with music, not through words. It's hard to explain, but you will know if you get into a band. I wanted to share that feeling and want to players to understand that feeling, and hopefully without games, they may have an interest in playing actual musical instruments. The core of this game is about playing drums in the band, and my dream is about increasing real band players from playing the game, and increase the number of metal lovers. Regarding the actual music, is the whole game an original soundtrack? TF: They are all covers from classical music. It's great to have actual recordings in the game like other music games. However, my focus in Gal Metal is 'Build your rhythms as you like". Therefore we haven't use any existing sound tracks, which allows players to think and build their favorite rhythms. Again, building and improving music is one of the big core ideas of my design and I really want players to feel this. Additionally, people don't like to play unknown songs so I picked famous classical pieces from the past 400 years, which are no doubt recognised as 'great pieces of music'. Because they are famous, the player should be aware of how and when they build up in the song. The player may have instant ideas about what to do immediately. Did you ever consider crowdfunding for this project? TF: Not at all. Crowdfunding is about marketing, in my opinion. There's no need to go to crowdfunding if the team has enough budget to make games and do the marketing. I need both to make my game be known to the public. This is the main reason why I belong to a publisher (and platform) rather than building my own studio. It must be exciting working on such a new console and utilizing its unique features - when did communication with Nintendo start? TF: Very recently. I have to make sure my idea works on game properly and my presentation docs to Nintendo are not just a dream but something about to happen. Being a producer for a big publisher, I personally saw a lot of great presentations with brilliant documentations from developers and games that have never come out and melted millions of dollars for nothing. I am sure they're going through lots of presentations million of times more than me, so I am very much prepared to start. What were your favorite Nintendo games growing up? TF: All of the Game & Watch series! I had them all and died to play them all! Of course Mario Brothers (in Arcade) and Donkey Kong (in Arcade) stole my heart and coins! Thank you so much for your time, and we look forward to seeing more of Gal Metal soon. Without the force feedback of actually hitting a stick against a drum, I feel this is going to be pretty awful in practice. Motion controls aren't exactly a one-to-one replacement for everything. I gather the second video mentioned using HD rumble. Not quite the same as hitting a drum, but I'm curious to see how this one turns out. It sounds interesting but not the kind of game that really appeals to me. This type of game is not welcome! @thesilverbrick True, but haptic feedback, if implemented correctly, can definitely come close. HD Rumble isn't just (or simply) motion controls. If the JoyCon can accurately reproduce the feeling of ice cubes falling in a glass or marbles rolling around in a small box in your hand, then it can also more than adequately enough convey the feeling of hitting a drum, including the accompanying feeling of material resistance that should go with it. @ThanosReXXX I can tell you from first hand experience that, yes, it can simulate marbles in a box. It blew my mind when I played that game. Am looking forward to this... love music/rhythm games, though a demo would be more than welcome too just so we can have a taste of what to expect. Also the comic style of storytelling for me hearkens back to the Osu Takaden Ouendan games, so here's hoping for some fun storytelling with exaggerated expressions. Babymetal was probably a big inspiration for this, which is awesome, because it's my favorite band. I know that Tak likes them too, I've seen some of his tweets about them. Was interested until I read “anime art style” and “character-driven story.” No thanks. Love the idea, the art style not so much..
@ThanosReXXX Maybe I could only tell from second hand experience! But yes, you are correct, my phone has betrayed me again. We need some Rhythm games for Nintendo Switch. You can play other genre, but I and other player wanna play Rhythm genre. Ok no one seems to have said it yet. Classical Remix can be Outstanding or Blah. It depends who has remixed that song. "Additionally, people don't like to play unknown songs so I picked famous classical pieces from the past 400 years, which are no doubt recognised as 'great pieces of music'." But I will actually keep my eye on this. Seems like it could be cool, if the joy con can actually work. Given that he is a musician first, I would imagine getting the feeling of playing right would be a priority. I will be on all board if they change the art style, could go for a more Japanese characters instead of the anime style characters. Love the concept! Pardon me for referring to Wii music (which I totally think was overhated), but the idea of a music game that focuses primarily on creativity and making arrangements that you see fit really appeals to me. Hopefully the HD rumble kicks in to make the controls solid! I feel the HD rumble implementation will make or break this one. Hoping they pull it off. They already had me at 'This music rhythm game uses the individual Joy-Con controllers as drumsticks'. Looks pretty great, but sadly i'm terrible at rhythm games. @thesilverbrick Have you never air drummed? Hope his ambition pays off, as a musician most rhythm games bore the bell out of me. This seems more in my wheelhouse. @Fitkong Wii Music was a brilliant piece of software to learn the basics of composition, performance, and improvisation. Not a great "game," but actually something more. Kind of like how Pikmin, yet as a traditional "game," reinforces the laws of nature and concept of ecology. Take took the Me First and the Gimmie Gimmies approach to rhythym games . . . sounds glorious. "You'll be s u c k e d"
That second trailer left me absolutely confused; also the graphics seemed almost what I'd expect on the 3DS. One thing is for sure any rhythm games on the Switch will be restricted to using the available input options (controllers, Joycons or touch screen). I think the oversaturation of music games in the previous generation have made the majority of people wary or no longer interested in specialist controller based games. awesome! shame abou the schoolgirls but .....japan. "here is your gameplay, and a side of anime cringe". This is the kind of game I want to see more developers making for the Switch. Unique, innovative games that utilize the unique hardware available, with small teams on low-mid level budgets. Ports and conventional AAA games are nice too, but the Switch being a platform like the DS where developers can create all kinds of weird stuff without going bankrupt is what will really make the console special IMO. @ThanosReXXX I suppose you're right. I hadn't thought about using HD rumble to simulate the impact of percussion. Here's hoping that's what they do. @GrailUK I have, but I wouldn't say it would make a compelling game experience. It's sort of like making a game centered around lip-synching instead of actually singing. @thesilverbrick It will probably never be 100% exact, but from what I've heard from people that tried out the different Joy Con demos, the feeling is just realistic enough to fool the brain, which then fills in any remaining gaps to make the experience feel "just like the real thing". EDIT: and of course the sounds and the images on screen also distract the brain/you, so any sensation that even remotely reproduces that "hit the drum" feeling will be more than enough to complete the experience. @thesilverbrick Hahaa, maybe you're right.